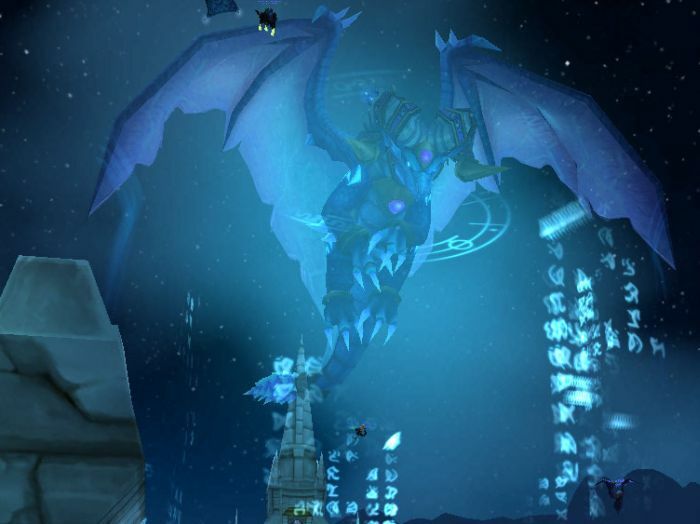 Everyone Loves a Dragon Sighting #WoW #WorldofWarcraft – Nomadic Gamers, eh! Apparently this massive dragon is a rare occurrence on my server of Argent Dawn, and last night was my first time seeing the event. From trade chat I gather that this event takes place as a player obtains their legendary weapon, but aside from those few details I know absolutely nothing about it. Anyone else able to shed some light for me? Nonetheless it was really neat to see. This is the final event for the Dragonwrath, Tarecgosa’s Wrath legendary staff that can be obtained in the Firelands raid. I haven’t seen the event itself, but it sounds like a doozy.